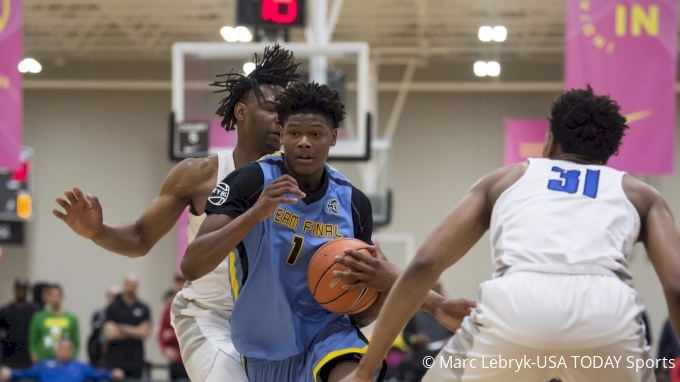 How Far Can Flo40 Forward Cameron Reddish Take Team Final This EYBL Season? How far can the No. 4 prospect for 2018 take Team Final (PA)? Sitting at 4-4 overall and on the right side of the current Peachology bubble heading into Session III, Reddish has been the undisputed leader for Team Final (PA), averaging 23.8 points while shooting 45 percent from the floor and 8.5 rebounds per game. There’s no doubt he can carry this squad to the promise land, but how much more does he have to do? How much more of a load would he have to shoulder to make a big run to and at Peach Jam? Only time will tell. Luckily, Louis King is another player to help the 6-foot-7 small forward take on some scoring. But with the way Reddish played to close out the last session, it appears he is catching fire at the right time and will take this team wherever it wants to go.